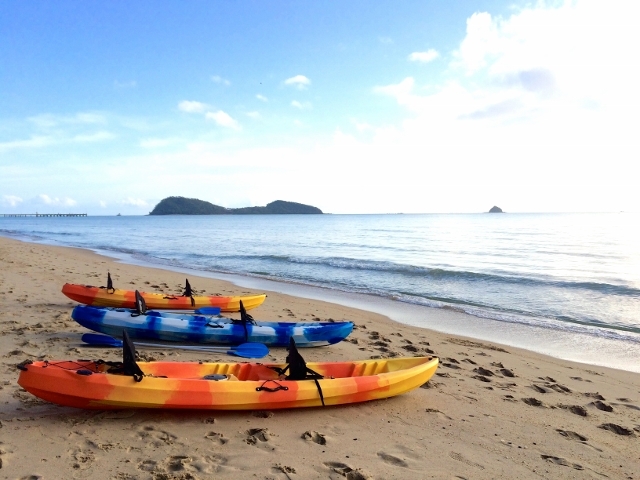 I recently went on a sea kayaking tour in Palm Cove with the guys from Kiteboarding Cairns and I decided to write a blog about my experience. As a beginner to kayaking (and most water sports!) I was a little nervous that I wouldn’t be able to keep up with the rest of the group on our Double Island Tour. But I needn’t have worried! The sea kayaks that the guys use for the tour are so comfortable and easy to maneuver that I was actually quite good at it (and I shared the kayak with my boyfriend- which is always a bonus!) I would say that you need to have a moderate level of fitness though, and be willing to keep going when your shoulders and arms start to ache! 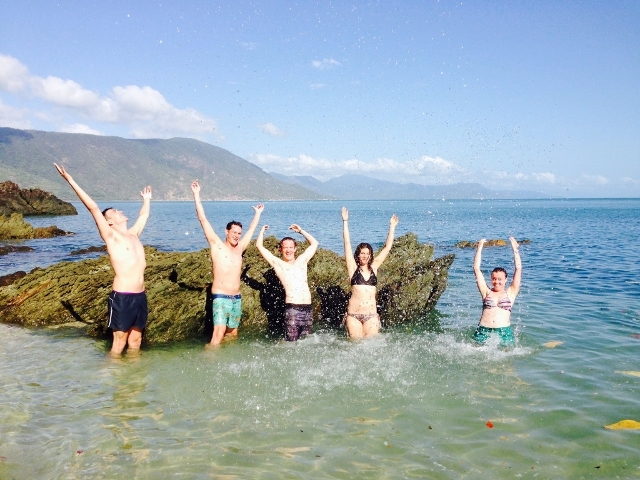 Our group of 7 met at the south end of Palm Cove, on the beach at 6.30am. We are given a run down on how to use the paddles, given life jackets and water and paired up on the sea kayaks. We departed Palm Cove beach at 7am. The conditions were perfect that day, the water was calm and there was no wind. The visibility in the water was also pretty good. We were very lucky, as sometimes the conditions can be a little more challenging! We paddled out to the reef in front of Double Island and had a rest there. It took us around 25 minutes to get there. Some of the group had bought snorkels and so we spent around half an hour snorkeling over the coral reef. It was incredible! I saw a couple of turtles, a manta ray and a shovel nosed shark. The amount of marine life out there is truly breath taking. We then took our sea kayaks out to Scout’s Hat, which is the small island to the right of Double Island. Scout’s Hat was also incredible. The island was covered in sea birds, which were flying over us and diving into the ocean to feed. We had a much deserved rest for a while here, eating some fruit and drinking juice provided by Kiteboarding Cairns. It’s an awesome experience, being on such a small and rugged island and looking back onto the shores of Palm Cove and Double Island. After another quick dip, and being told some interesting facts about the islands history, we set of back to the mainland. 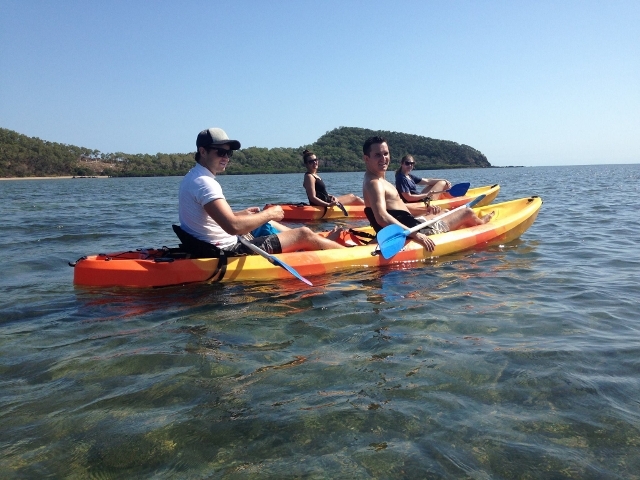 Feeling exhilarated after our morning witnessing the diverse sea life of the area (and having a pretty good work out at the same time) we were so happy that we made the decision to sea kayak in Palm Cove with Kiteboarding Cairns. I would highly recommend a sea kayak tour with these guys. To get in touch with them, click here.